Megyn Kelly is considering her return to television in time to cover the 2020 presidential race, although she is still “emotionally scarred” from her unceremonious axing from NBC, according to a new report. After Kelly was removed as the 9 a.m. host of the “Today” show following comments she made regarding using blackface on Halloween, the television anchor has been busy spending time with her three children and learning to cook, according to Page Six. “You’ll definitely see me back on [television],” Kelly told TMZ, saying she would be on air again sometime in 2019 without getting specific. However, a source has told Page Six that Kelly expects to go back on air some time in October, just as the 2020 election season starts. During the 2016 campaign, Kelly got involved in a public feud with then-candidate Donald Trump after she moderated the first presidential debate in August 2015, reported Page Six. Waiting until October will also have given her an entire year off-screen. When Kelly and NBC officially parted ways earlier this year, sources said that Kelly is free from any noncompete clauses, which means she can immediately seek a job at other networks. However, there is a nondisclosure agreement in place. While Kelly is expected to land at another network, it’s not yet clear which one. Executives at Fox News, where Kelly worked for many years, have publicly said that they don’t have room for another primetime anchor and that they’re happy with their current lineup. 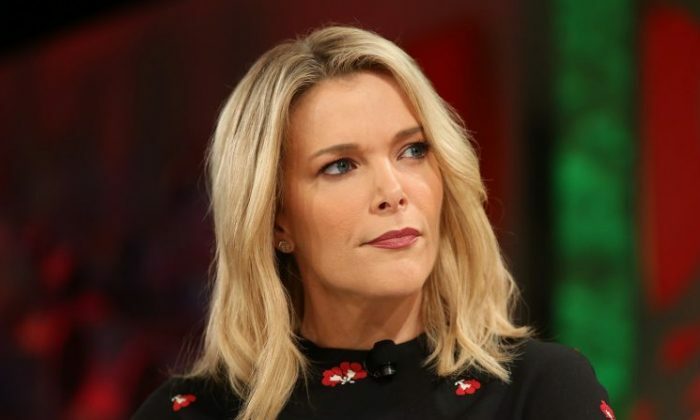 Kelly’s move from Fox to NBC in 2017 was closely followed within the media industry partly because she’d became one of the highest paid people in the news business, with an estimated salary of $69 million over three years. Two sources told the New York Times that Kelly will get the remaining outstanding balance on the contract—roughly $30 million. The sources also said that Kelly is free to work at other networks. Kelly apologized for the comments directly after the show aired and then again the next day while on air, but still received widespread criticism from several NBC News personalities and the public. “I want to begin with two words, I’m sorry…The country feels so divided and I have no wish to add to that pain and offense. I believe this is a time for more understanding, more love, more sensitivity and honor…Thank you for listening and for helping me listen too.” Tap the link in our bio to hear this morning’s entire panel discussion with Roland Martin and PBS’s Amy Holmes.